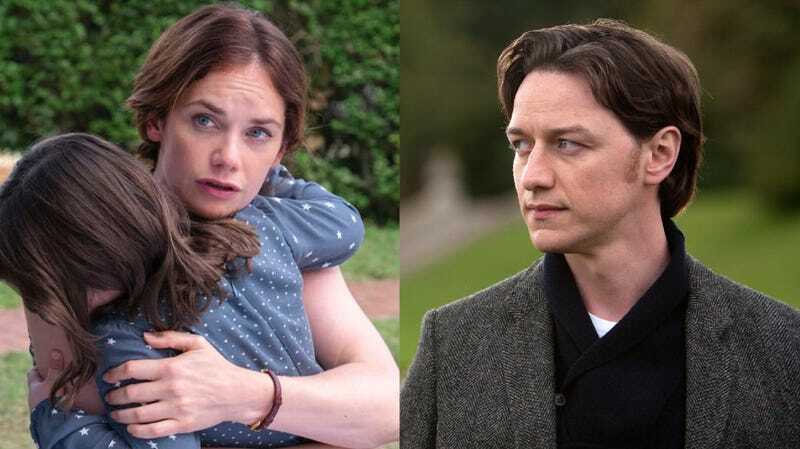 Ruth Wilson (left) in a scene from The Affair, and James McAvoy from his X-Men debut. Logan star Dafne Keen may be the star of the BBC’s upcoming His Dark Materials saga, playing the coveted role of Lyra Belacqua, but there are two adults who play a vital role in the shaping and dismantling of her world. And now we know who will play them. The BBC has announced that Ruth Wilson and James McAvoy have come on board to play Mrs. Coulter and Lord Asriel. Deadline reported earlier today that McAvoy (the X-Men series) has joined the cast of His Dark Materials, based on the acclaimed scifi series by Philip Pullman. McAvoy will play Lord Asriel, Lyra’s so-called uncle who’s eager to keep her protected from the outside world. The outlet later announced that Wilson (The Affair, Luther) is taking on the role of Mrs. Coulter, the wealthy sophisticate (with a major secret) whose diabolical scheming puts her at odds with Lyra. Daniel Craig and Nicole Kidman played the roles of Lord Asriel and Mrs. Coulter in the disappointing 2007 film The Golden Compass, and they were... fine, I guess. I’m curious what McAvoy and Wilson will bring to these roles, given how powerful and imposing they are throughout the trilogy. Another cast member announced today is Clarke Peters (The Wire), playing the Master of Jordan College who raises Lyra and gives her the golden compass that starts it all. I will say I’m psyched that the previously announced Lin-Manuel Miranda will be playing adventurer Lee Scoresby, because that sounds like an absolute delight. The eight-part series is expected to start production soon, with no confirmed release date yet.